Airey Taylor Consulting has a world class capacity for Water Engineering ranging in scale from complete system design for town sized developments through to environmental analysis of outflows of existing structures. Our experience extends to water treatment plant design, strategic policy initiatives, design and commissioning of pumping stations, pipeline design and testing, extensive subdivision planning and service design, wastewater treatment policy and plant design, drainage system analysis and design, as well as in-house materials science capacity for environmental and water testing. Our integrated civil engineering capacity enables holistic planning, design, documentation and implementation of projects ranging from re-routing of water services and corresponding earthworks for new structures through to the construction of entire towns, suburbs and industrial estates. Water Engineering projects completed by Airey Taylor Consulting include design of the water supply system for the Tom Price Town and Mines, and engineering design services for dozens of drinking water and main sewerage systems for Bibra Lake, Spearwood, Northbridge, Perth, Westfield, Cottesloe, Neerabup, Rockingham, Mandurah, Forrest Lakes, Balga, Claremont, Banksia Grove and Denmark among other suburbs and towns in Western Australia. 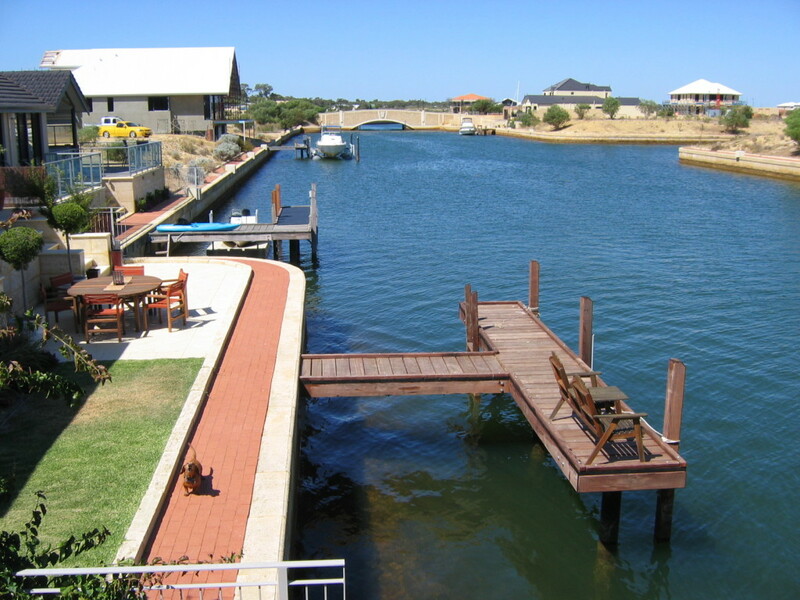 Our innovative capacity in this field is showcased in projects such as the award-winning Port Mandurah Canal Development, where we pioneered the use of vacuum sewerage systems to meet the challenge of the presence of a high water table for the first time in Western Australia (systems now used extensively by the Water Corporation). The project also demonstrated environmentally sensitive, comprehensive water studies and analysis; storm surge and hydraulic flood studies; sewerage reticulation, sewerage pumping station and rising main water quality investigations; and design and documentation of supporting earthworks, roads, drainage & drinking water supply. Airey Taylor Consulting has been joined by Brian Stone – a worldwide authority in the field of Water Engineering. Given the challenges faced by Australia’s growing population for access to suitable water supplies, his appointment as Senior Engineer adds water process, purification and hydrogeological services. Brian is a global authority for engineering water solutions. With an international career spanning projects in Australia, the United States, Israel, the Netherlands, Malaysia, Singapore and other nations, his expertise in hydraulic system design and analysis is unsurpassed in Australian practice. As Director of MWH Corporation in the United States (later acquired by Canadian firm Stantec) – Brian managed their design office and water quality laboratory in California for over five decades – providing technical direction, planning, detailed design, construction overview and start-up of major water supply projects including water treatment plants, pumping stations, pipelines and wastewater reuse systems – a track records which included innumerable successful commissions – including conceptual design of the largest water treatment plant in the world. He is a sought-after local expert in Western Australia for his hydrogeological knowledge and skills extending to specialist knowledge in the on-site disposal of water, the role of drainage systems in planning and practice for siteworks, and broader environmental impacts. Brian co-ordinated the design of the world’s largest water treatment plant (Prospect Plant in Sydney) and further major water treatment plants for Los Angeles, San Francisco, Adelaide, Amsterdam, Indonesia, Malaysia, Brunei, Thailand and the Phillipines. He recently revisited California to investigate current policies of waste water treatment, particularly reviewing the impact of two tertiary treatment plants for Los Angeles County Sanitation Districts of his design and subsequent water quality practice. Adding to his unparalleled experience in conceptual design, analysis of water quality issues, system hydraulics and overall project coordination. Brian has authored numerous papers, publications and text books components on water treatment and pumping station design.